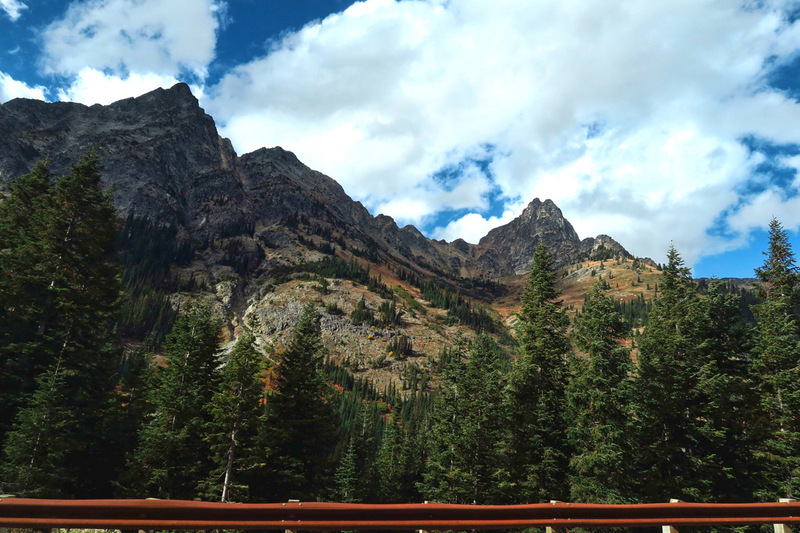 The drive through the park along Highway 20 is stunning. 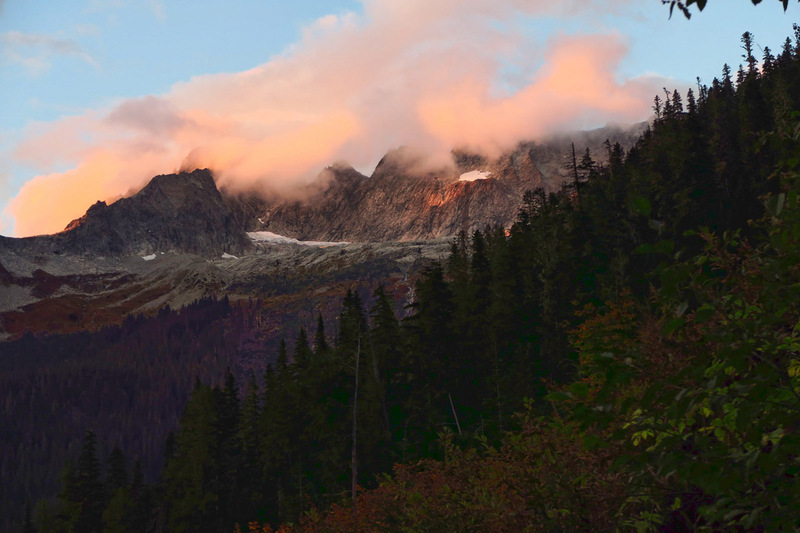 I personally feel that North Cascades is a highly underrated National Park. I had never even heard of it until I began my quest to see all 59 NPS areas designated with official “Park” status. 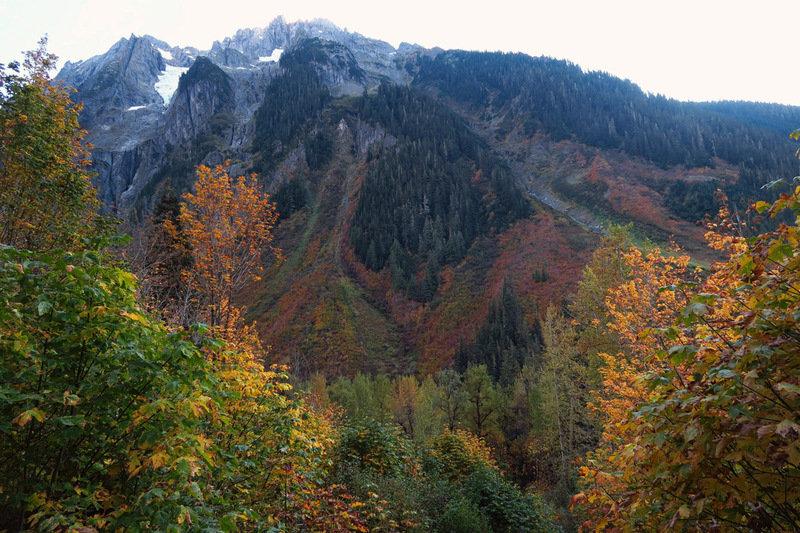 Only a 3 hour drive from Seattle, you would expect it to be mobbed given the scenery, hiking, and kayaking opportunities. 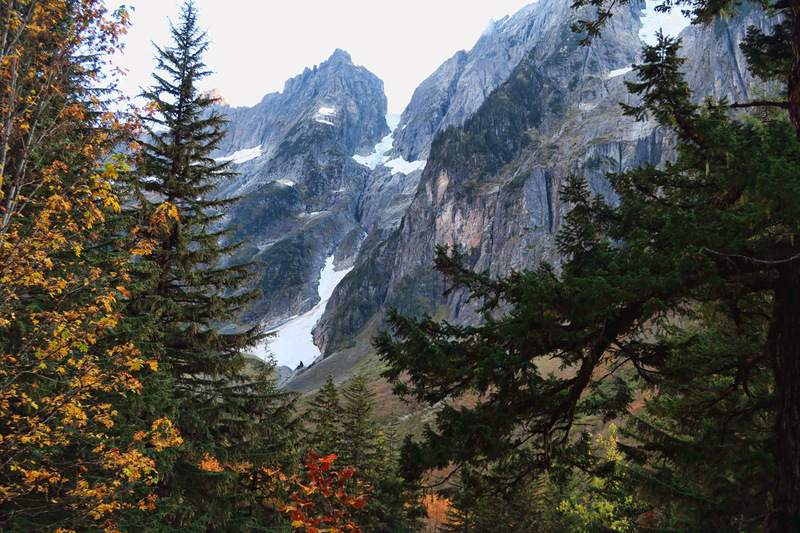 After all, the NPS bills the North Cascades as “the wildest and steepest mountains in the lower 48 states.” Within the park boundary are over 300 glaciers, the wild and scenic Skagit River, ice blue glacial lakes, and old growth forest. 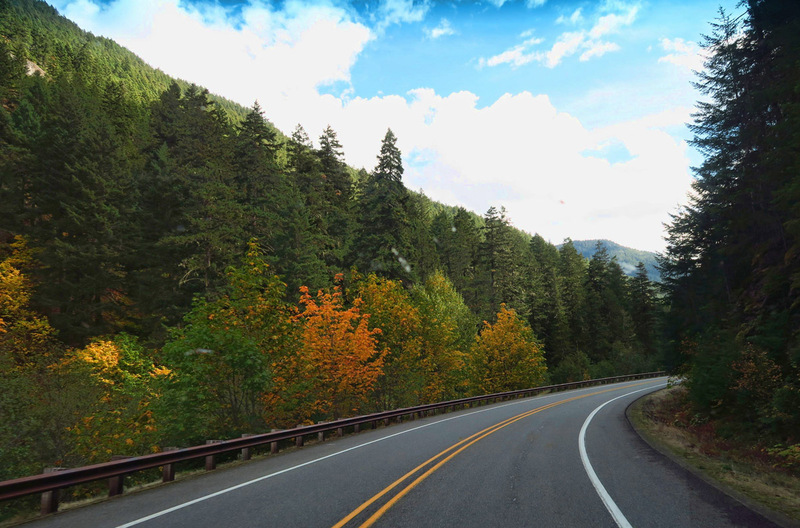 Yet many of the facilities, including the largest campground, Newhalem, are already closed despite the fact that we have arrived in the midst of fall splendor. 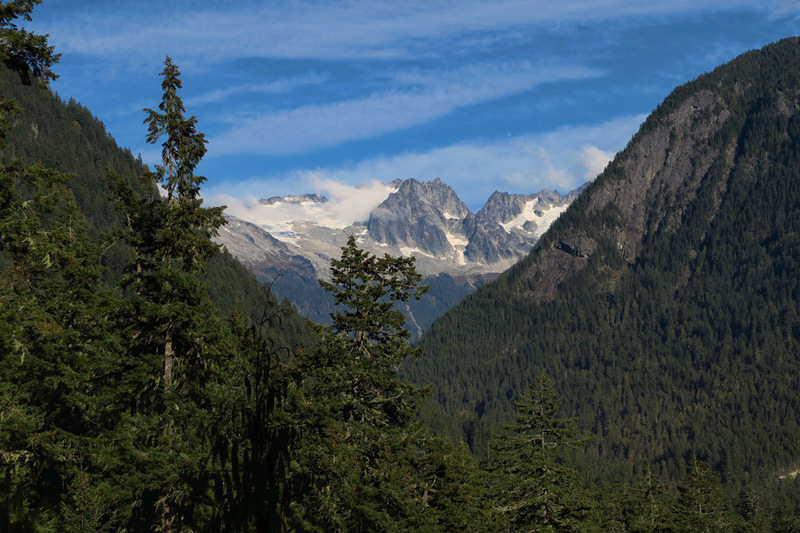 View of the Pickett Range from the Sterling Mundo boardwalk trail at the Newhalem Visitor Center. 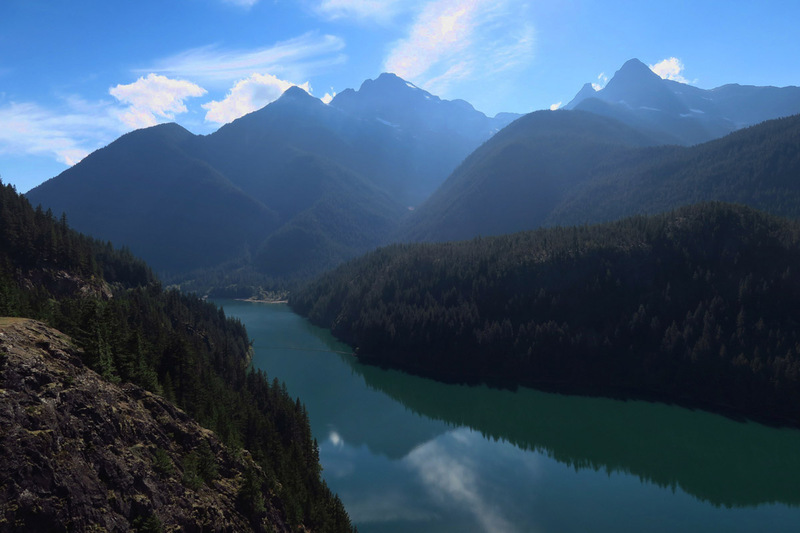 Diablo Lake is part of the Skagit River Hydroelectric Project and managed by Seattle City Light. 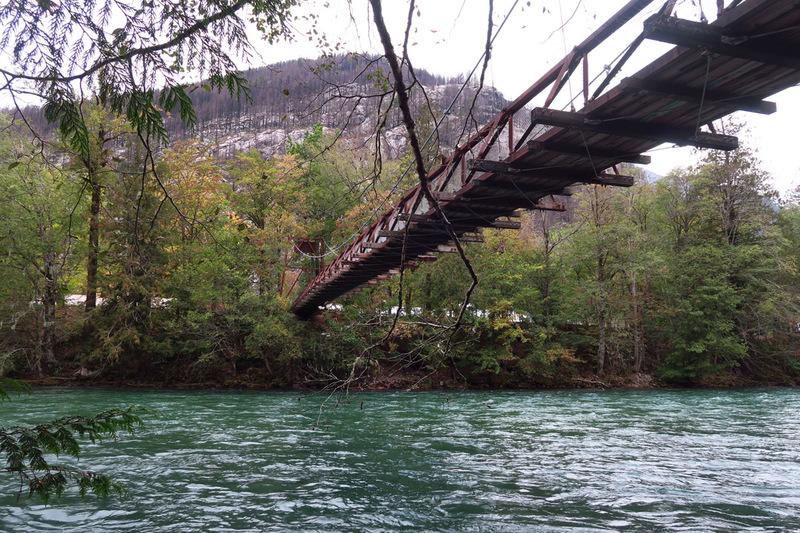 Thankfully, there were still a couple of the smaller campgrounds still open for the season. But with services turned off already, they were also fee-free. 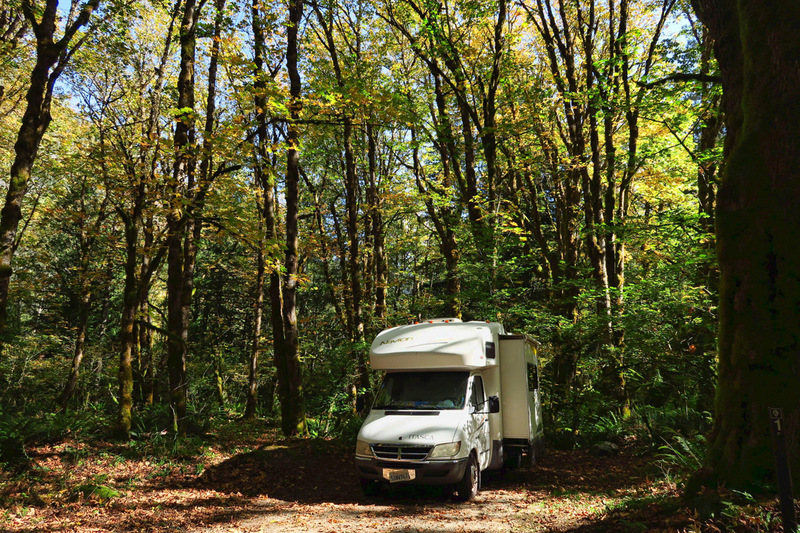 We found two beautiful spots in the Goodell Creek campground located side by side amidst the falling leaves. 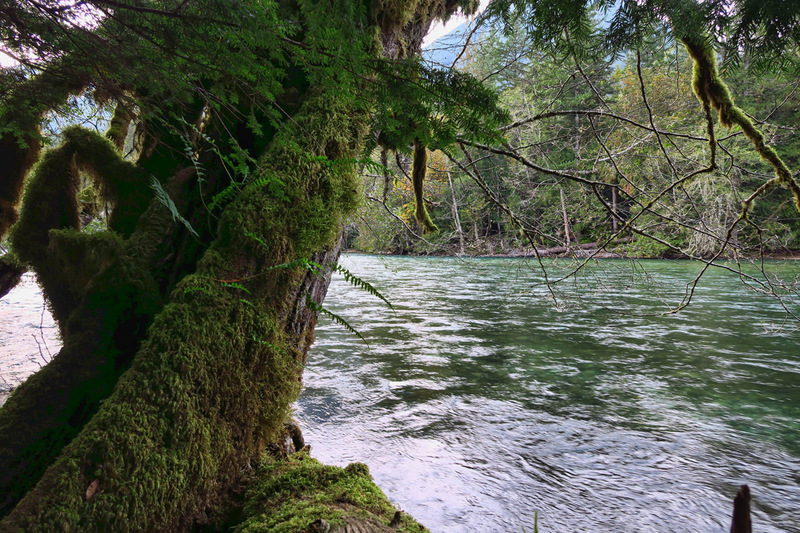 With all the rising campground prices inside the National Parks, it almost feels like stealing to be staying here alongside the beautiful river for free. Another aspect that’s “free” at this time of the year is freedom from crowds. After jockeying for campground spaces all summer, it feels almost surreal to pull into a National Park without a reservation and be able to get a spot! 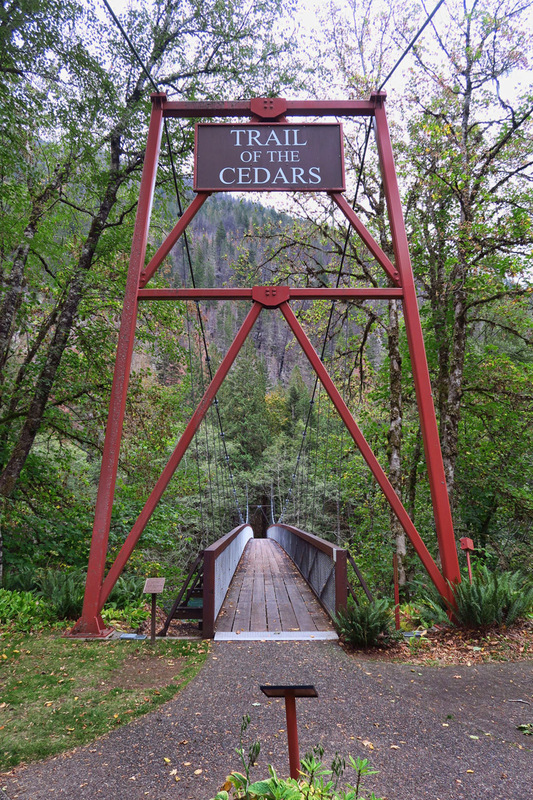 The park is quiet, trails are empty, and even though the weather is perfect, the Newhalem Visitor Center is open on weekends only. 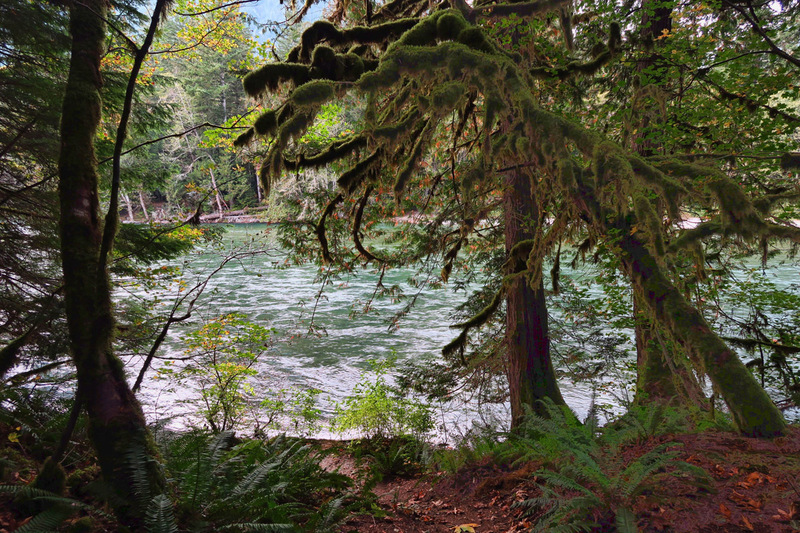 Goodell Creek Campground, only 21 sites but very scenic with nice sound effects from the Skagit River. 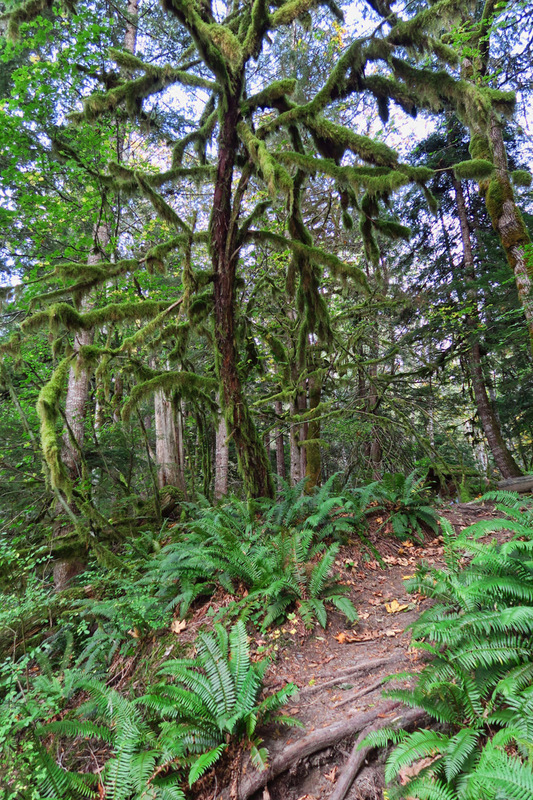 Trail of the Cedars Loop through old growth forest. 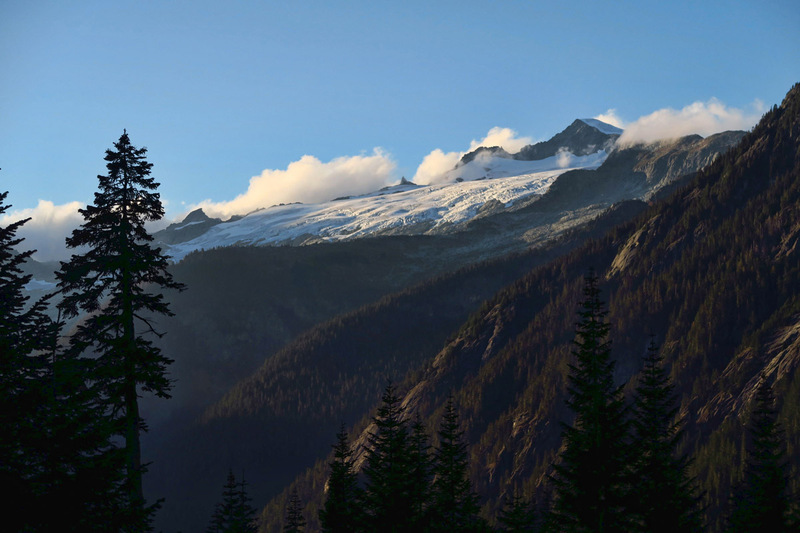 I spent a good bit of time in North Cascades last time I was in the PNW. I did some great hikes, took in all the exhibits at the Visitor Center, and visited the Seattle City of Light exhibits. But turns out, I missed the best part. 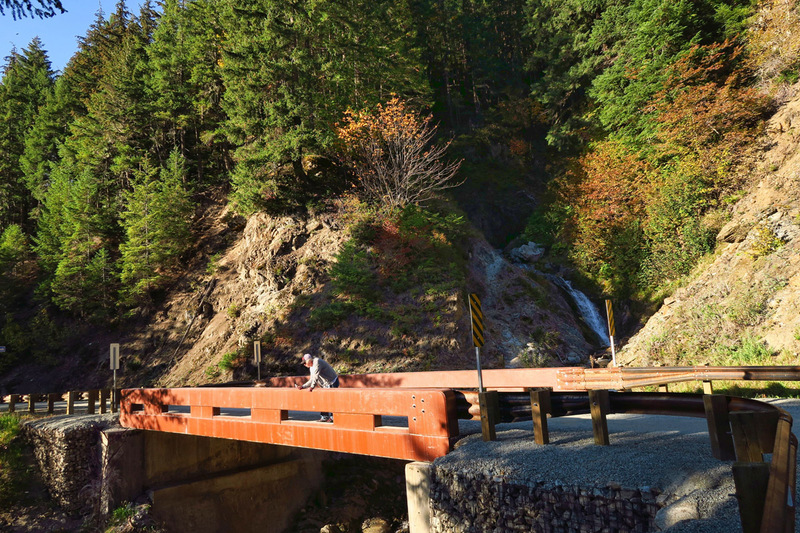 Thanks to a tip from fellow full-timer Laurelee, I learned about the incredibly scenic Cascades River Road. 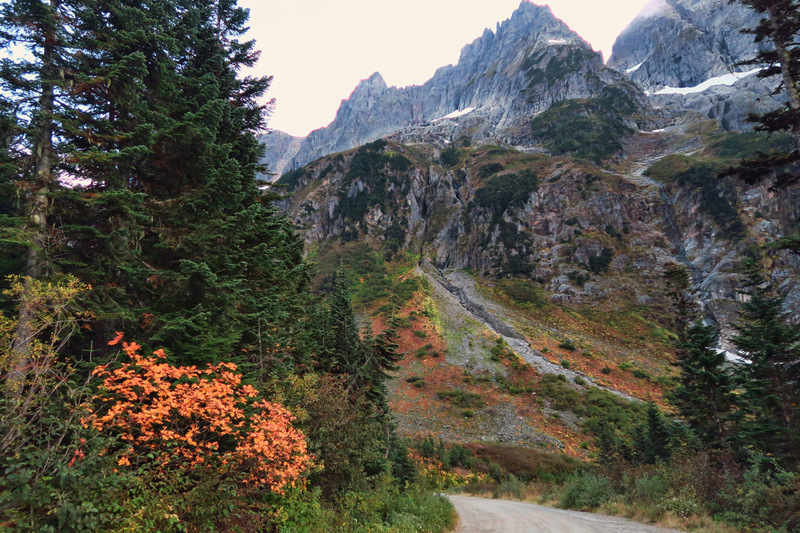 I knew the road would be steep and rough, which I typically hate to do to the little Tracker, but Laurelee assured me the drive would be worth it. However, I started to have doubts after asking the woman at the Shell station in town for directions and conditions of the 23 mile road. “It’s just a long road with a bunch of trees. No view until the very top.” Good thing we didn’t let this discourage us! 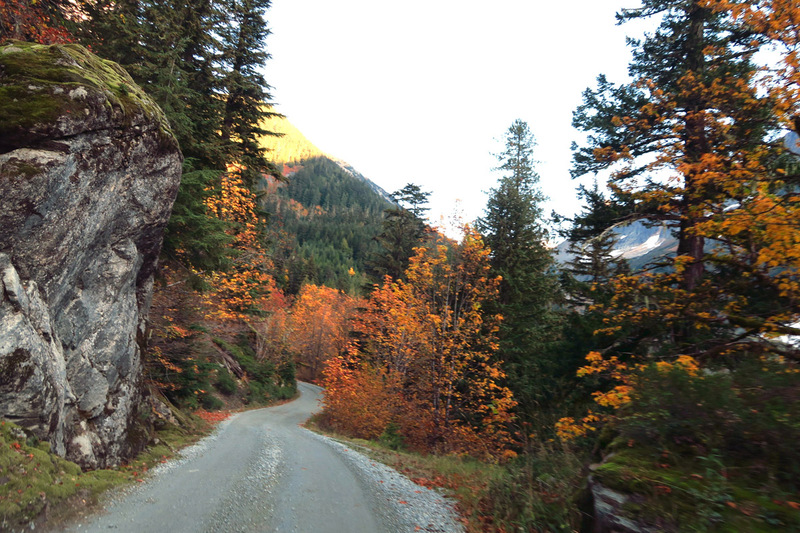 First glimpse of what’s to come from Cascades River Road. The road is paved for the first third. But then for the second third, it turns into the worst washboard road I have ever been on before, and I have been on a lot of farm roads! The vibration was so extreme that at times we were vibrating sideways rather than forward! And the final third is quite steep. My apologies to the little Tracker, but he took it like a champ! The drive was spectacular! 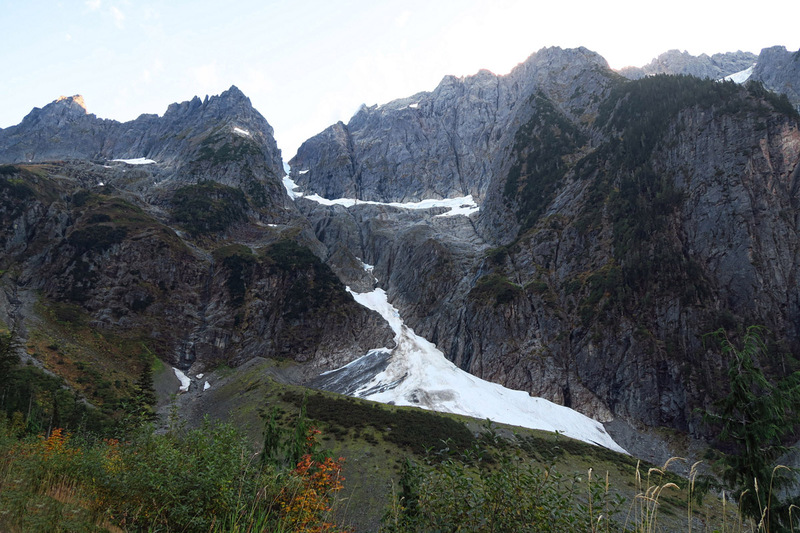 We stopped frequently on the way up, as there was an abundance of photo opportunities, not only of mountains, but of the many “cascades” that give the park its name. There were several lovely Forest Service Campgrounds along the way, but they were all closed for the season. Cascades River Road dead ends at the Cascade Pass trailhead, where it’s 3.7 miles to Cascades Pass, or another 31 miles all the way to Stehekin. 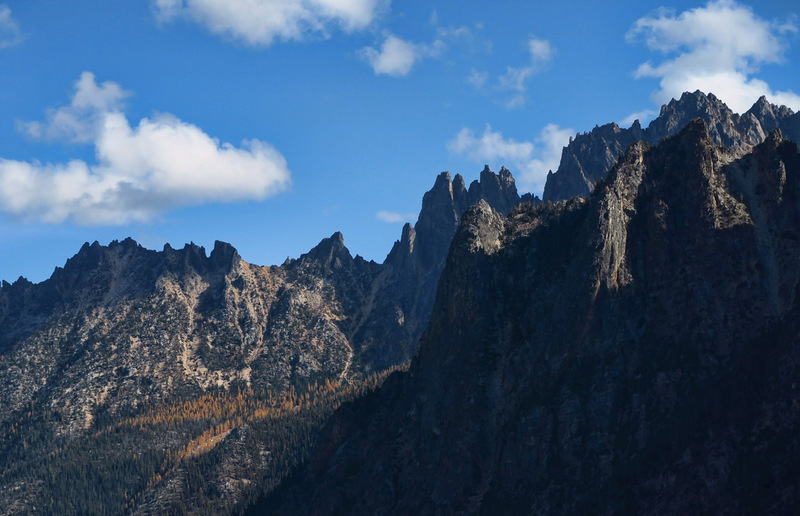 Another reason to return to North Cascades National Park one day! 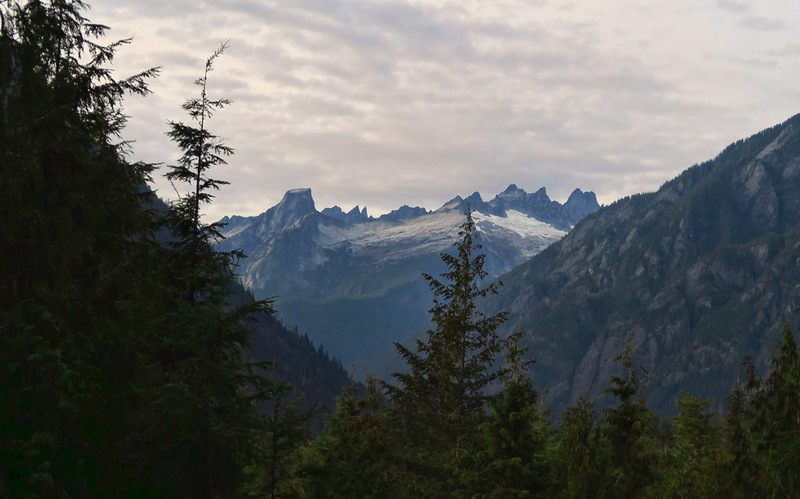 This entry was posted in National Parks, Washington and tagged Cascades Pass Trail, Cascades River Road, Diablo Lake, Goodell Creek Campground, Newhalem Visitor Center, North Cascades National Park, Skagit River by Suzanne. Bookmark the permalink. Another interesting and excellent post. 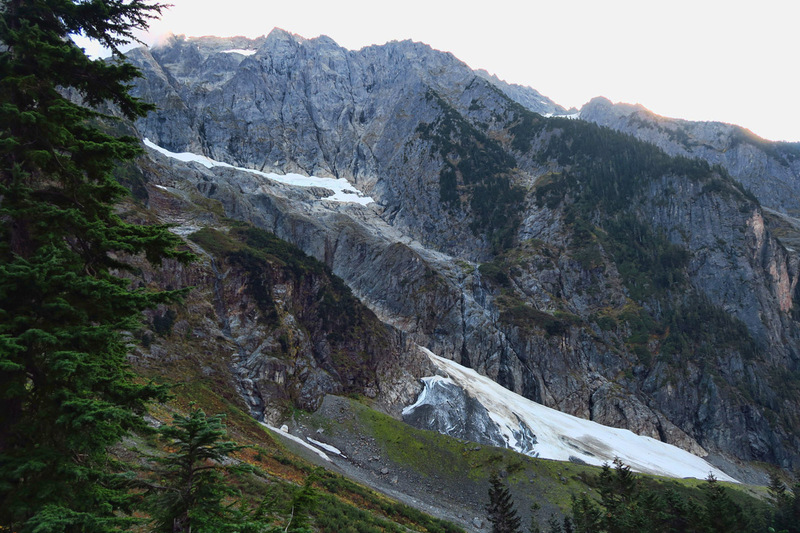 You don’t have to go to Alaska or Canada to find a glacier. A great find. Unbelievably beautiful. 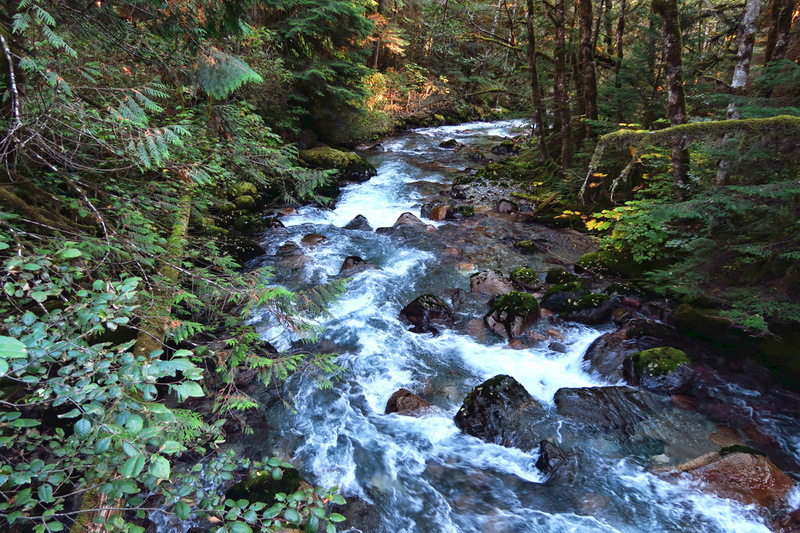 Sorry we missed you when you were on the Olympic Peninsula. We just moved to Port Ludlow, just west of the Hood Canal Bridge. Where are you headed now? Hi, Linda — Nice to hear from you! 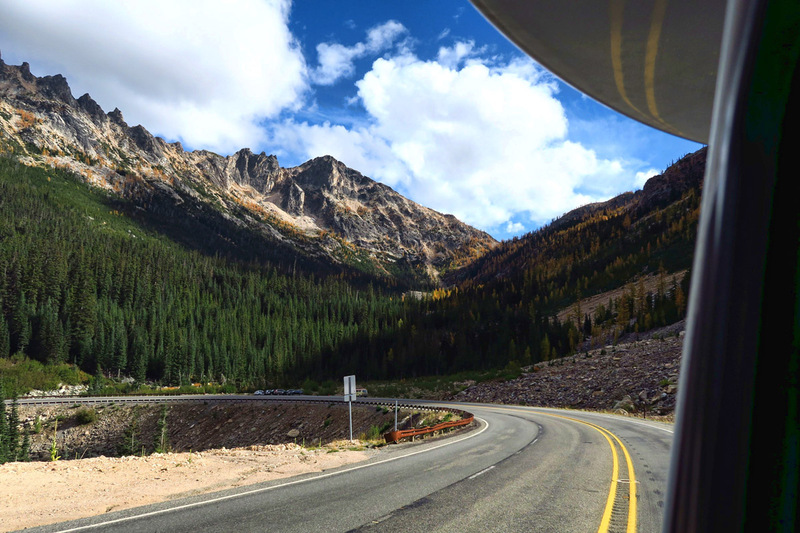 I just sent you an email…headed south through Idaho. 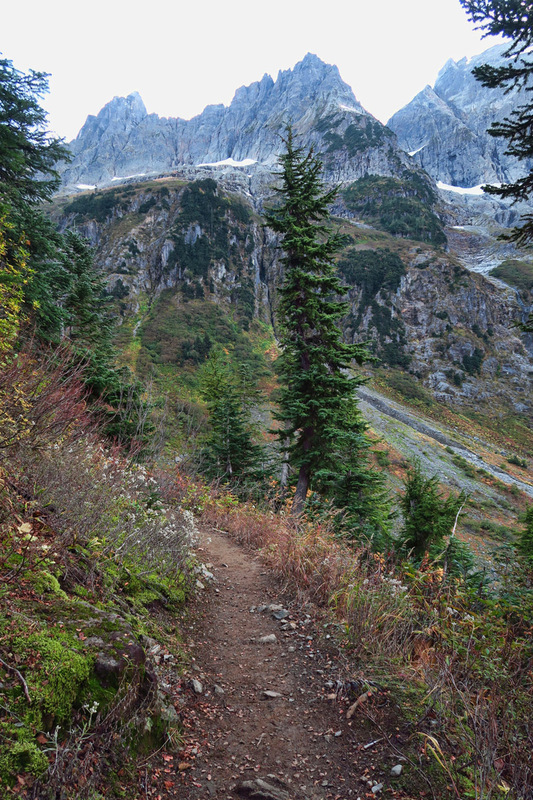 Now I want to go back and hike the Cascade Pass Trail. I bet the views are incredible! I was thinking the same thing, Jeff! Gorgeous pictures! 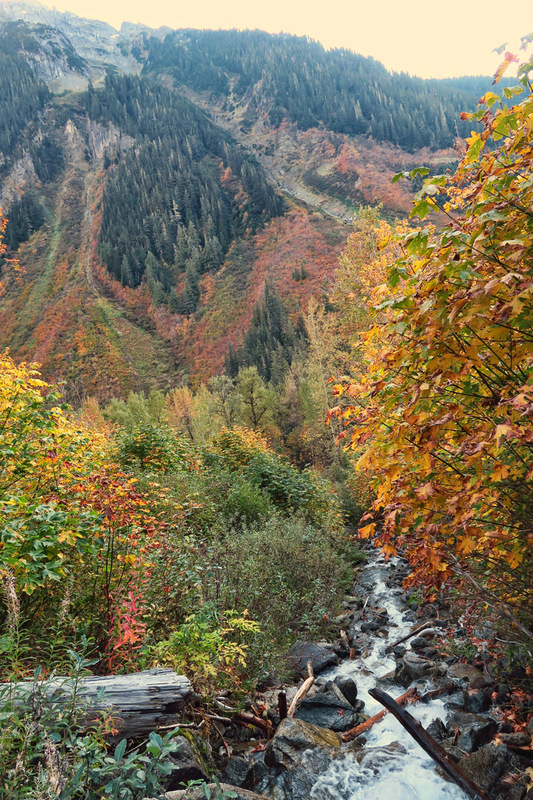 Mountains & streams are more my thing than beaches & oceans. But I never turn down either!!!! 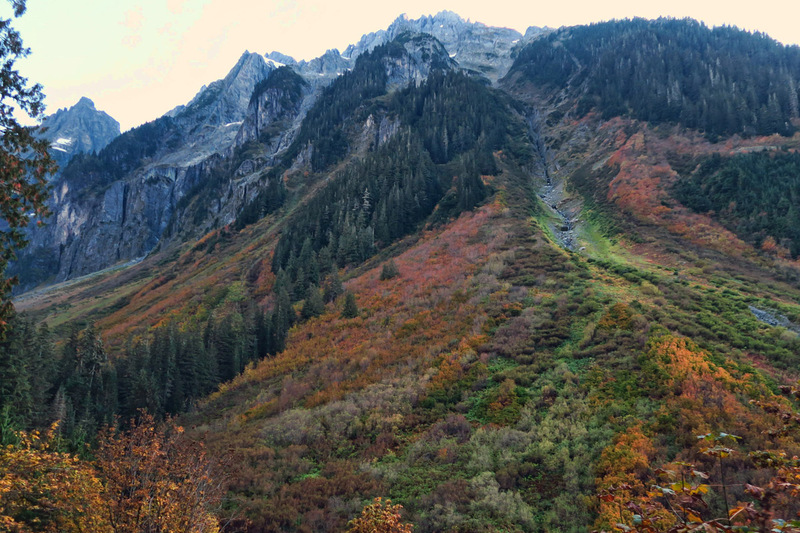 I can almost feel the mountain air, great pics. What an incredible drive! It must have been reassuring to have your personal mechanic along with you! We’ve not yeet made it to this park, I can see it is a must do. Thanks for the share, love reading your blog. Keep up the posts! 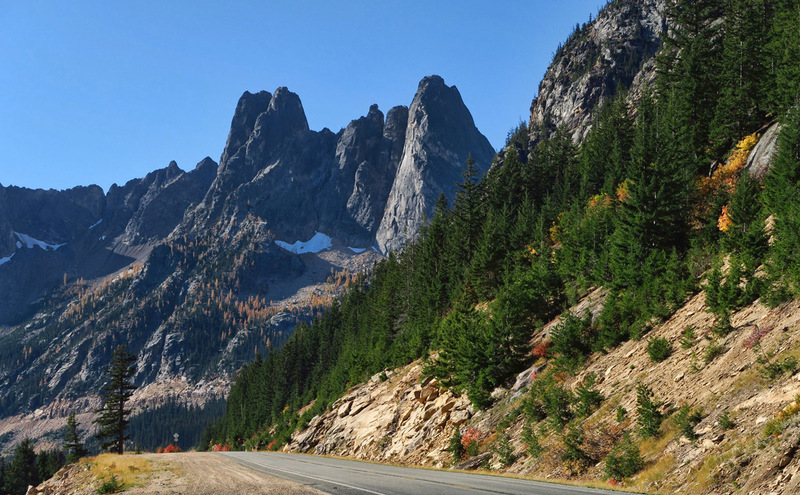 I would love to go back to North Cascades NP and travel that road in the fall. What fantastic views! Terry would not have enjoyed that ride. It must have been somewhat reassuring to have someone else along for the ride. 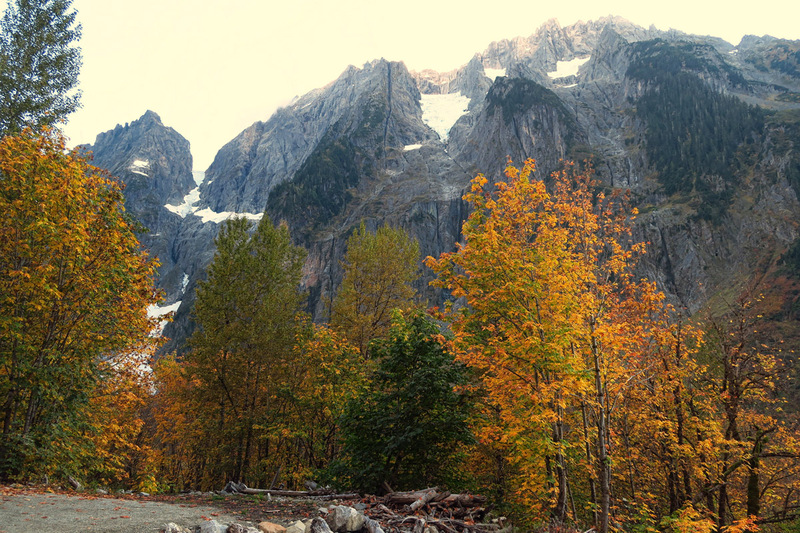 Perfect timing for the quiet and colors of the North Cascades. Once again, you bring back strong memories of my life in WA. Excellent shots! Hi, Suzanne – Wonderful photography! What a gorgeous area. Colorful and interesting. Thanks for sharing. You were in my home territory, I see more recent posts that get you even closer. Of course I’ll comment! 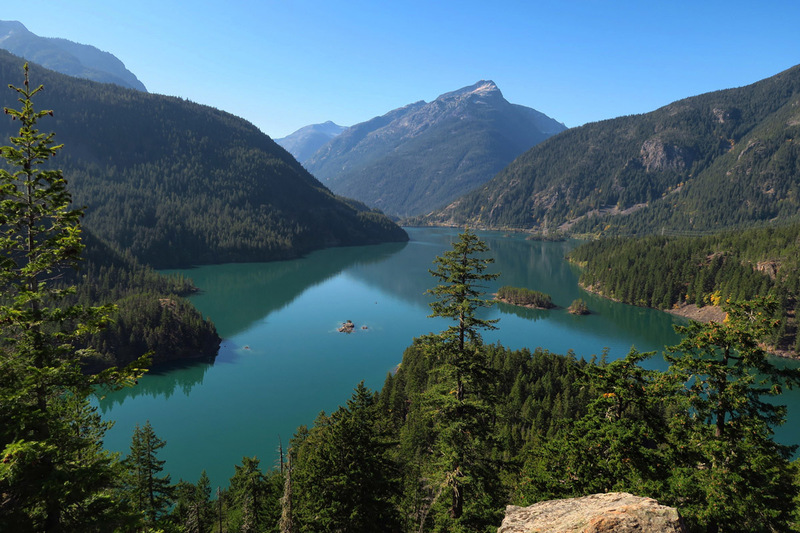 I was sent on a YMCA-sponsored canoe trip down Ross Lake when I was 14, as the NC Hwy was being built, so we accessed the lake by driving to Hope, BC, and a little road that took us down to the head of the lake. Little did I know that I would be choosing Western Wash U (at that time, State College) in Bellingham as my destination as soon as I could get out of Oroville (way out of your way, but lovely beyond telling). Turns out my parents ferried me over the highway to my freshman year the fall that the highway opened. Since then I’ve traveled it many times between to get from north Seattle or Bellingham to Oroville, and have loved showing it off to my friends, most recently getting a thrill from Pete’s reactions when we traveled east to west a couple of years ago (and yet sad as we traveled immediately after the set of devastating fires/mudslides/windstorm in 2014, and even managed to see the aftermath of the Oso disaster near Burlington). As always with familiar places you visit and write about, I learn there is much more to enjoy than I ever thought! And as many of us say time and time again, your photos are fabulous as is your story-telling. Delighted that you enjoy “my home turf” as much as you do. I’ve been smiling with every entry.